So far ITC Admin has created 14 blog entries. Kevin Philbin is a 31-year-old IBEW member. 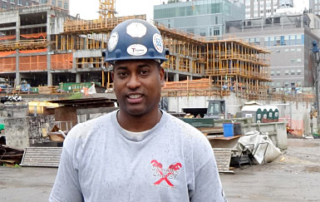 He is currently working on the Riverside Project in New York City, which is being financed by union pension dollars through AFL-CIO-sponsored investment programs, and expects to be there for the next two years. 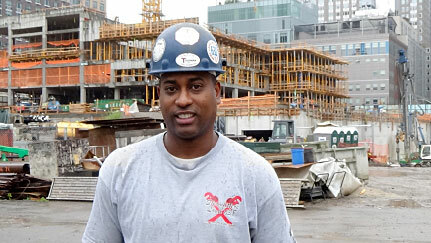 Kevin has been a member of Local 3 since 2004. As president and managing director of the AFL-CIO’s Investment Trust Corp. (ITC), Michael Stotz often gets to dispel the myth that investing in union-built and -serviced construction projects results in measly returns. ITC’s Jim Lingberg, along with his wife and two daughters, spent their family vacation on a service trip in the Dominican Republic. For 8 days the family helped patients at local medical and dental facilities, distributed food, clothes, and supplies to families, and helped with community-improving construction projects in the province of Quisqueya.